I’ve definitely been slowing down on the sticker buying lately. With some big savings goals this year I’m trying to limit how much I’m spending in general and trying to use up what I have before buying new. One thing I go through quickly though is weekly kits! I can usually squeeze two weeks out of a kit and don’t use them every week, but when a cute one catches my eye I snap it up pretty quickly. Enter, Beautiful Planning! Each of the kits are just £3 – great value! This was the kit that initially caught my eye and is the only one I’ve used so far. I love these colours! Grey is fast becoming one of my favourite colours lately. Last week's layout. Kit is from @beautiful_planning 😍 I love the structure of these kits! As you see, it looks pretty great and I had enough stickers leftover for either another week or another planner. I ended up using a few leftover bits in my Mini Happy Planner. My favourite thing about these kits is definitely the three different box sizes. The extra little 1/8 box sizes are really handy. Find this kit here. Can you guess the theme here? I don’t normally do St Patrick’s Day but I couldn’t resist this kit that I’m saving for then. You can find this here. 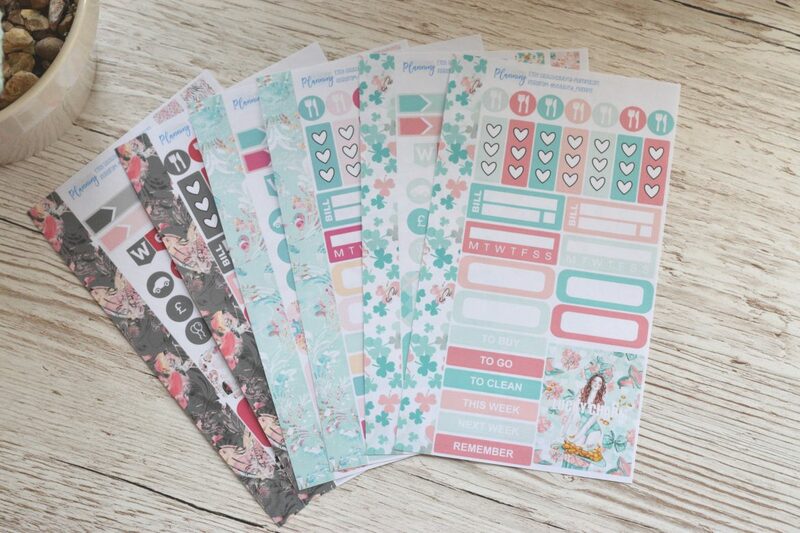 I really love these kits, I feel like they tick all the boxes (ha, pun) for a white space planner like me. The only thing I’m not too bothered about is all the icons, I’ll only use a couple of those each week except for the meal planning ones. Finally is the cute little sampler I received. Beautiful Planning also has a loyalty card which is a nice idea. I’ll definitely be keeping an eye out for more cute kits from this shop. As always, if you know of a great Etsy shop I haven’t featured before, drop me a comment below and I’ll check them out! This post may contain affiliate links. These don’t cost you anything to follow, but help support the blog!